Time for a new game reveal. It's early in development but we're already super happy with how it's going. It's by the same team that worked on Magic Touch and as such their just putting the finishing touches to the Magic Touch a update before getting back full speed into this. More on that update soon! 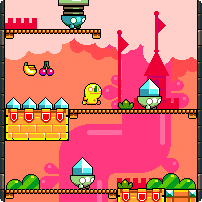 It's a platformer of sorts coming to both mobile and the browser for free. 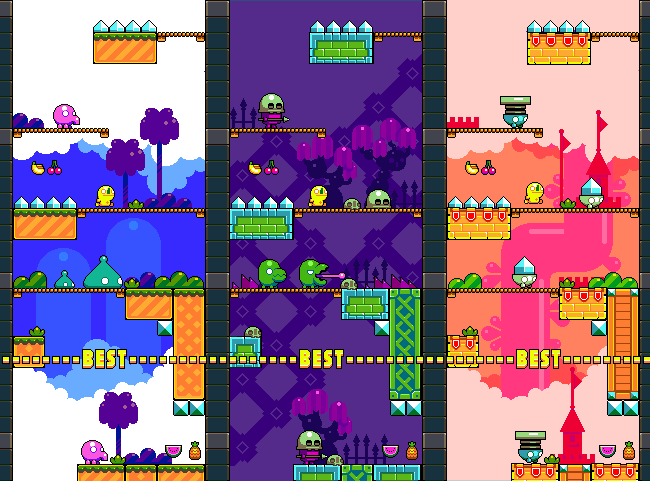 It's got super simple mobile friendly controls that are not a virtual dPad or like Platform Panic, it's random and endless but also fixed with checkpoints....and we don't mean there's two modes. Oh and in case you were wondering the shots are 100% mocked up. We do have the game running with some of the art in but a lot of the monsters and art is not yet in the game so things are subject to change.